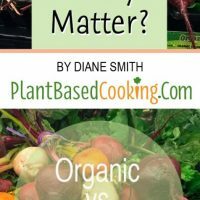 Home » Does Organic Really Matter? Some people swear by organics, while others couldn’t care less. Where do you fall on that spectrum? Are you someone who won’t even take a single bite out of a conventional apple because of concerns about pesticides or artificial waxes? Are you constantly reading labels and checking for organic certification symbols? Perhaps, on the other hand, you think the whole organic thing is a racket designed to line the pockets of the organic food industry? Maybe you’re even prone to making fun of your organic-loving friends and family for “wasting their money”? 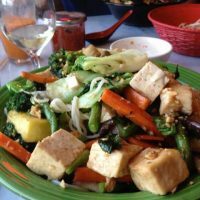 For vegan plant-based eaters, who rely exclusively on plant foods such as fruits, vegetables, legumes, grains and nuts in addition to plant-derived products such as tofu, tempeh, bread, and pasta, to name just a few, the question of organics is particularly important. Recent research has revealed that while conventional and organic produce have similar levels of many types of nutrients, organic foods have one very significant health advantage –they’re higher in antioxidants, which protect cells by preventing the formation of free radicals. 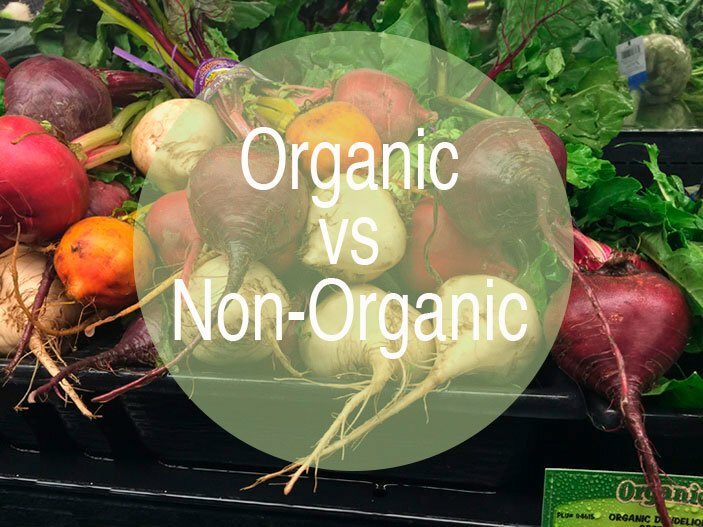 And no one can argue with the fact that organic foods reduce your exposure to toxic chemicals, reduce the levels of those same chemicals put into the ground and water, and are safer for workers that handle them. Let’s be honest – many more people would buy organic, whether for environmental, health or nutritional concerns if organic food was more affordable. But the fact is that organic foods tend to be more expensive, often considerably so, compared to their conventional counterparts. In fact, organics have gotten a reputation as the cuisine of the affluent, with many middle and lower-income folks thinking that organics are out of their reach. For many people, it may simply not be affordable to buy exclusively organic produce and other food items. That may be the case for you, in fact. 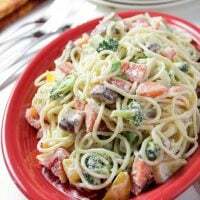 But when it comes to fruits and vegetables, there is an answer, and it involves a bit of a compromise. The Environmental Working Group produces an annual list which identifies those fruits and vegetables that are the worst offenders, that have the greatest amounts of pesticides so that you can choose to avoid them. The list is called the “Dirty Dozen,” and it’s worth checking out or downloading as a handy guide when you go shopping. But take heart, the EWG also creates a happier list, the “Clean Fifteen,” which lets you know which conventionally-produced fruits and vegetables are likely to contain the lowest amount of pesticides, and are therefore safest to buy. What’s the Good and the Bad? So which are the baddies and which are the goodies, you want to know? Well, avocados, sweet corn (bear in mind a small percentage of conventional sweet corn is genetically modified, however) pineapples and cabbages lead the Clean Fifteen, while strawberries, spinach, nectarines, and apples, in that order, top the Dirty Dozen. What do I recommend? 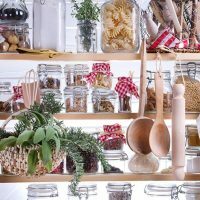 Although I don’t specifically list “organic” in every list of recipe ingredients, I believe that it’s best to use organic if you can, and otherwise, keep the Dirty Dozen and Clean Fifteen close at hand. So there you have it. Being thoughtful and deliberate in this way about your produce purchases will protect your health and the health of the planet while keeping your food budget within reasonable limits.